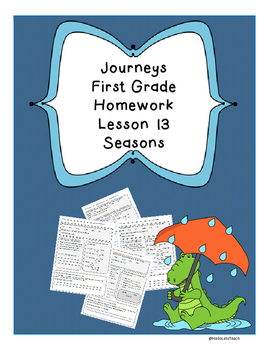 1st grade homework that reviews lessons taught in Journeys Reading Series, but can go along with any other reading series. Just print and send home. We use it in our first grade classes. Student friendly and parent friendly. Easy format. 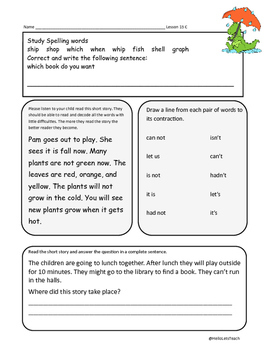 Reviews all common core strands. 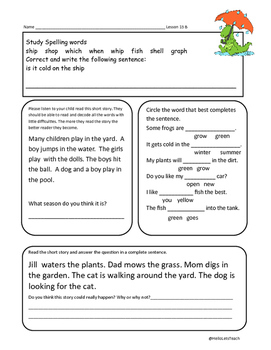 Includes practice with reading fluency, comprehension skills, vocabulary words, spelling and grammar skills. 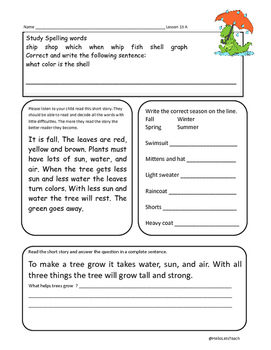 All sheets include a constructive response answer. Bundles for level 1.4, 1.5 and 1.6 in my store now. Bundles for level 1.1, 1.2 and 1.3 coming soon watch my store Hello Lets Teach.